The Colouring Brush Pen from Koi mixes the convenience of a pen with the versatility of a brush. With the durable brush nib you can achieve fine, medium or bold brush strokes with varying pressure and angles on the nib. The odourless water-based solvent blends easily (blender pen is available separately) to create seamless gradations of tone and colour, whilst the compact pen length (140mm) makes them more convenient on the go. Koi Colouring Brush Pens are a convenient way to add colour to any sketch, cartoon, journal or illustration - and the super flexible nylon nib will quickly spring back into its original shape after use. 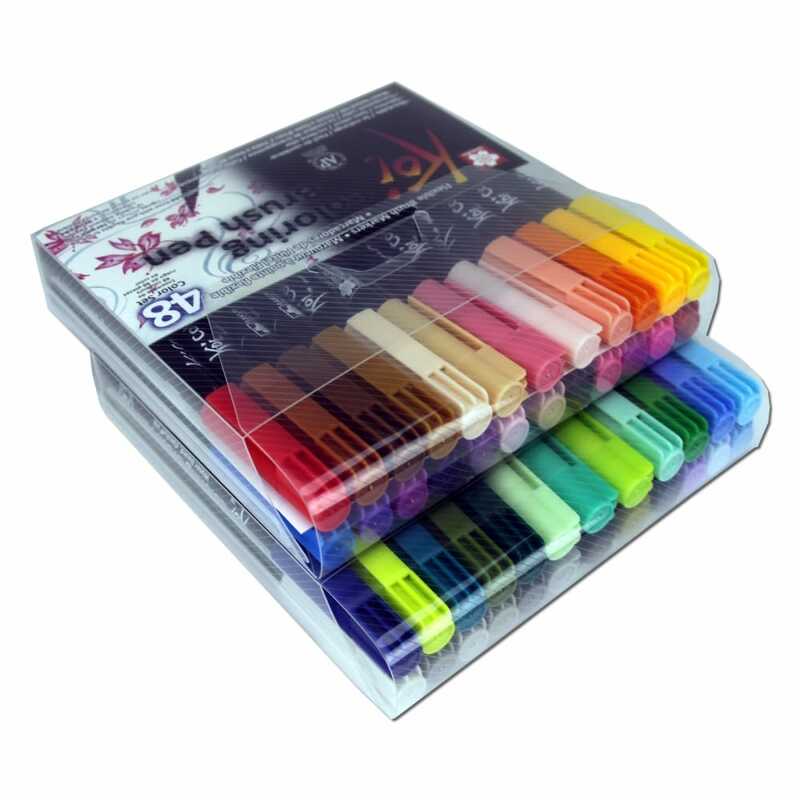 Showing 2 Sakura Koi Colouring Brush Pen 48 Set reviews. Average rating of Excellent. Would you like to write a review? These are beautiful, light, comfortable pens to hold, available in a marvellous range of colours. The pens have a smooth effect and glide across the paper, with the capability of a range of brush strokes. The koi pens are brilliant for colouring and blending. The pens blend well together and with the use of a wet brush to create a background wash or to colour sections of your picture or drawings from dark to light, adding more colour for preference. Love these watercolour pens. Bought these to keep for when my current ones run out, don't want to be without them.